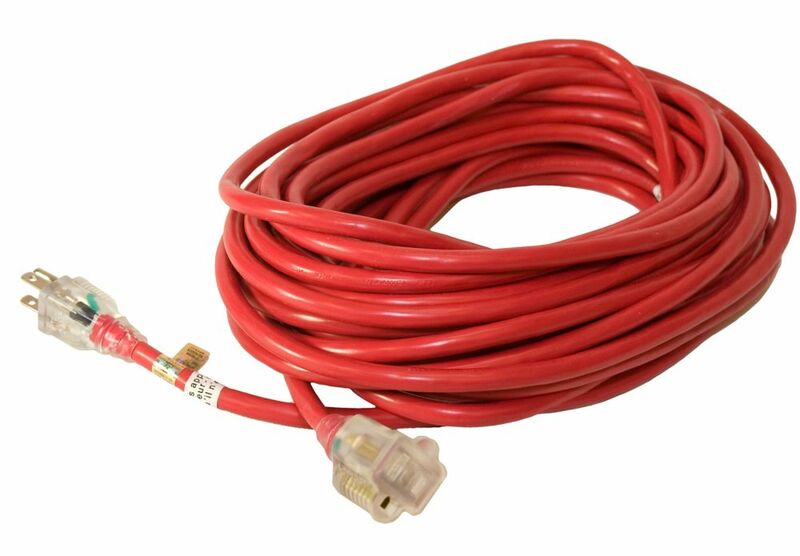 SJTW 14/3 15.2M (50Feet) Single Lit end - RED Manufactured for Canadian Conditions, our Premium Grade SJTW cord is made to be the perfect all around cord for use in our harsh conditions. We include rugged and durable ends that light up when it is plugged in. SJTW 14/3 15.2M (50Feet) Single Lit end - RED is rated 5.0 out of 5 by 1. Rated 5 out of 5 by NorthernGrant from Lighted End Extension Cord in Winter This extension cord was recommended by the manufacturer of the electric snow blower I purchased. Having the end light up, is a great help to determine if the power is working properly. I wind the electric cord up, using a cord reel. The wire does get stiff, but still manageable when wound up. Besides, that is expected in Winter! I store this reel with the 50 feet of electrical wire, under the cover for the electric snow blower.